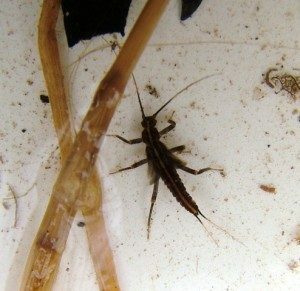 This winter stonefly is one type of insect that we may find! Meet us at Heritage Park in Corunna, right next to our new office! We will bring all the equipment you need so just dress for the weather. Children are welcome the they are participating with an adult. These underwater creatures elude most predators by growing during the winter months when most fish are more sluggish. They live only in good quality streams so searching for them tells us about the quality in the river and its streams.